Durable Technologies’ Ink Jet Division is emerging as a leader in the ink jet printing industry for both packaging and industrial applications. We specialize in the manufacturing and supply of high quality ink jet inks, makeup fluids, solvents, cleaning solutions, and solid wax inks. Durable Technologies can be your single source ink jet solution for all of your OEM alternative replacement inks, including continuous ink jet (CIJ), Drop On Demand (DOD), Hiigh Resolution, and Hot Melt Wax inks. We offer the broadest line of direct replacement and custom formulated fluids for all the major OEM printers including Videojet®, Imaje®, Diagraph®, Linx®, Marsh®, Domino®, Willett® and more. Our ink jet fluids are precision formulated and put through a stringent filtration process that follows the strictest industry standards. As a result, our customers get 100% utilization out of our fluids and enjoy a 33% longer shelf life than many other OEM fluids. Best of all, we offer FREE TRIAL SAMPLES of our ink jet fluids to anyone who is interested. Just fill out the short form on the right and we will arrange it. 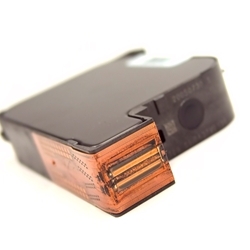 Durable Technologies also supplies replacement ink cartridges that incorporate HP printhead technology for a variety of industries including packaging and mailing. 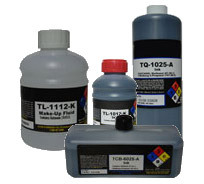 All of our HP TIJ (thermal ink jet) inks are supplied in brand new HP51645A cartridges. Although black is the predominant color used in these applications, we also offer many standard colors to meet all of our customer’s requirements. In addition to single cartridges, we also offer bulk systems for those higher volume applications. Call us today to find out how we can improve your print quality and save you money on your replacement HP ink cartridges.